Ground cardamom are the aromatic ground seeds of the species Elettaria cardamomum of the ginger family. Cardamom is the third most expensive spice, after saffron and vanilla. The part of the plant used is the fruit (pods) and the seeds, which can be used whole or ground. 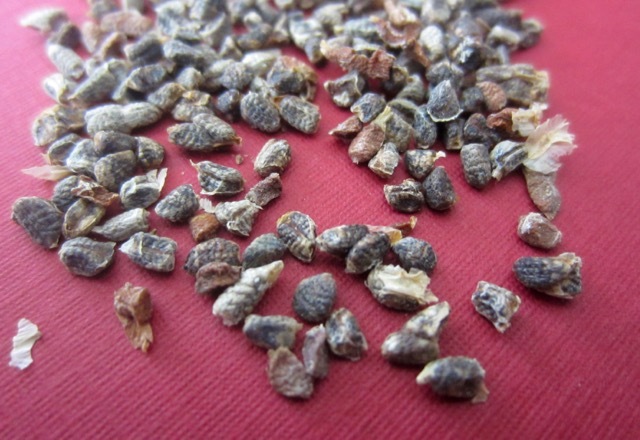 The dried pods are usually green in colour but they are mostly bleached and sold white as seen in the picture below. Guatemala is the largest producer and exporter of the green cardamom. 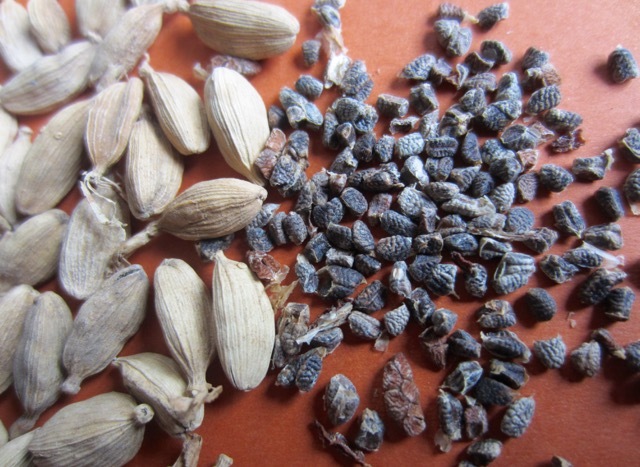 Each cardamom fruit (pod) contains 15-20 small black seeds which are used as a spice, in whole or ground form. The black seeds are ground into cardamom powder. Pure ground cardamom can be bought in stores. What can you use ground cardamom for? 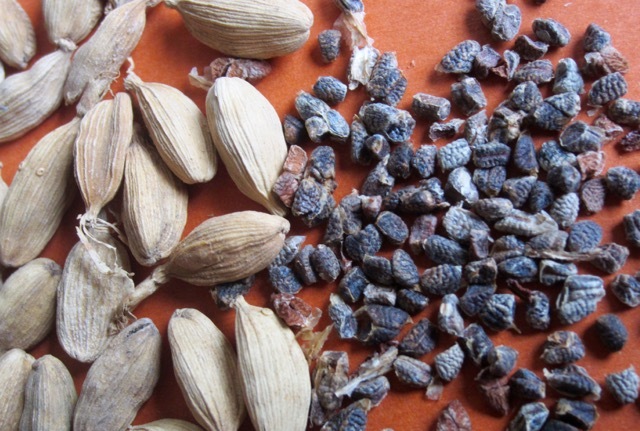 Ground cardamom seeds (cardamom powder) has a strong aroma and should be used sparingly. Like other ground spices, cardamom powder loses its flavour and aroma, if kept for too long. it’s advisable to buy it in small quantities or just pound fresh seeds, before cooking. Cardamom powder can be used in both savoury and sweet dishes and as an ingredient in spice mixtures. You can add it in sweet rice pilaff, winter squashes, pumpkin and sweet potatoes. You can also use it in baked goods like bread, cakes and muffins. Cardamom is widely used in Indian and Scandinavian cuisines. 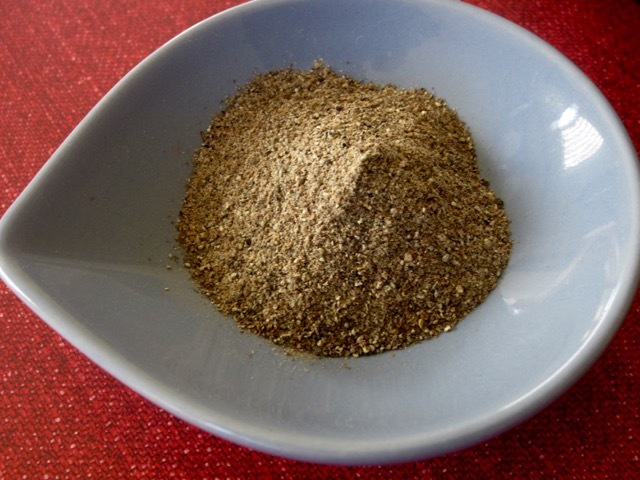 In Indian cuisine, it is an important ingredient in Garam Masala and Tea Masala. it’s also used in sweet dishes, savoury curries and drinks of various kinds. In Scandinavian cuisine, it’s used for fruit soups, baked apples, fruit compotes and gingerbread. It’s also used in Swedish meatballs, traditional Swedish bread, pulla and Christmas bread Julekake. Ground cardamom is used as an ingredient in many spice mixtures like Tea Masala, Pilau Masala, Mixed Spice, Curry Powder just to mention a few. In East Africa it’s used in fried dough called Mandazi and Mahamri. Whole pods are used in making Pilau. Prev What is Coriander Seed?